After gaining an honours degree in Sociology and Cultural Studies, Sarah worked for Greater Manchester Police in the UK for six years, firstly as an intelligence officer, where she was based in Specialist Operational Units, such as the Air Support and Tactical Command Units. She later moved into an analytical role where she was professionally trained as a criminal intelligence analyst, working at the Force Intelligence Bureau focusing on acquisitive crime, and finally a short deployment at the Counter-Terrorism Unit, where she worked on several live operations. She later moved to the UK Wildlife Crime Unit where worked on national wildlife crime issues and where her interest in international wildlife crime led to a role with TRAFFIC based in Malaysia, where she directed the law enforcement support work for Southeast Asia during four years. Sarah has also authored and coordinated diverse reports and case studies on wildlife crime issues. 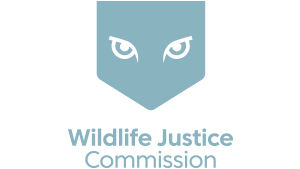 Sarah joined the Wildlife Justice Commission in 2016 as a Senior Intelligence Analyst and recently moved into the Senior Investigations Manager role where she now heads the Intelligence Unit, supporting the Investigations Team.